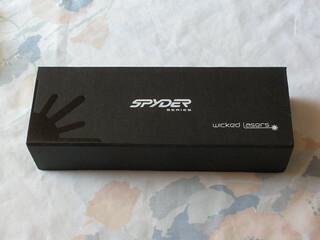 This is the cardboard case that contains the laser. It looks quite nice, although I would prefer an aluminum one since cardboard cases are damaged more easily. Update: The lighting and focus on the photo have been improved.